The Netflix show You has taken over Twitter conversation and has amassed a dedicated following of 40 million viewers who can’t get enough of the creepy but captivating Joe Goldberg and his developing obsession with Beck, a woman he briefly encounters in his bookstore. Praised for its pulpy dramatics and dark writing, You stands as a strong example of what well-crafted entertainment can be. With season two already in the works, the show’s development from the original books is a successful reworking of page-to-screen television. For a story about a dangerous stalker, however, fans have been romanticizing Joe for his looks, intelligence and charm. This misplaced infatuation has become such a meme-worthy talking-point that actor Penn Badgley took it upon himself to address it on a number of talk shows and his Twitter accounts. 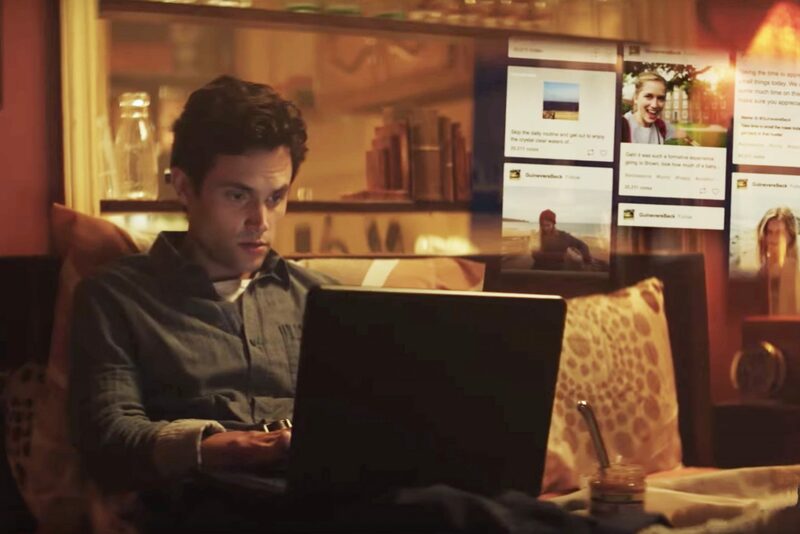 Light-hearted jokes about You’s conflicting leading man aside, the show addresses an important and ever-present problem that is becoming more difficult to keep track of, especially in the current day and age of social media — stalking. Sarah Scanlon, Laurier’s Sexual Violence Response Coordinator, touched on this issue and the relative ease we have in accessing other people’s personal information. Above all else, you should never tolerate any behaviour that makes you feel uncomfortable or unsafe in anyway. “I believe there has been an increase in particular kinds of stalking due to an online culture. So not just online access, but a culture that permits online bullying, that encourages a type of behaviour that folks would maybe not condone or would maybe not approve of in a public sphere, like in person. That certain behaviour is seen as more normalized or culturally appropriate online,” Scanlon said. Countless people have been switching their social media settings to private after watching You and looking at their online presences more critically, questioning how many people are browsing their personal pages without their knowledge. “For people who have experienced stalking, the ways in which their stalkers, their abusers, their perpetrators have been able to use online systems as a way to manage, control, keep tabs on them has actually created massive amounts of harm and danger and that unless you essentially completely shut down your online persona, people can access so much personal information about you and use that as a way to get to you,” Scanlon said. In You, Joe is capable of finding out where Beck lives, who her friends are, where she goes to school and little details that he otherwise wouldn’t know about unless she told him herself, crossing boundaries from the get-go. “We’ve had cases even at Laurier where individuals have used personal information about someone they barely know, to find out about how to get access to them physically, to cause harm,” Scanlon said. While there is no foolproof way of protecting ourselves online, it’s important to remain knowledgeable about who has access to what we post and what strangers can do with it once they have access to that information. “People need to make individual decisions for themselves about their own safety and individually decide what their threshold is around how much they want people to have access to. I think it’s good to educate where that information is actually going — I don’t think lots of people understand when they put things out into the online world how ‘out there’ it is and how much you actually don’t have control over it once it’s online,” Scanlon said. It’s unlikely that an exaggerated character like Joe Goldberg is lurking in the shadows of your local bookstore waiting to track your every move through your online presence, but it isn’t a bad idea to make yourself more conscious of who could be seeing what you post. Above all else, you should never tolerate any behaviour that makes you feel uncomfortable or unsafe in any way.